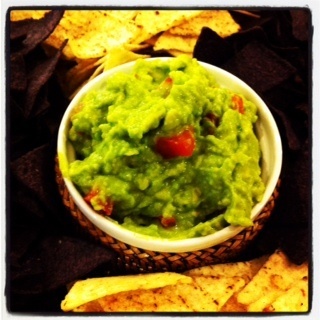 When it comes to the perfect appetizer, guacamole may be it. Served with some salted tortilla chips and a good Margarita, it's a dish that's appropriate for the most casual or sophisticated gathering. This recipe was passed along to me from my mom, who grew up in Wisconsin but moved to San Diego in her 20s. She and my father quickly fell in love with the south-of-the-border food scene in their neighborhood and regularly incorporated it into their cooking. In a bowl, grate the onion down to your finger tips. Add the lemon and jalapeno juice, and salt. 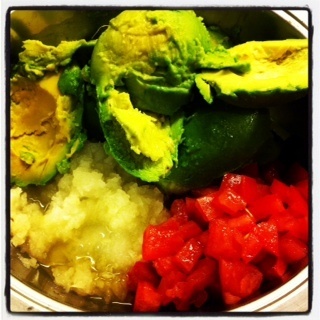 Mix well, then add the pitted avocados. Mash to your desired consistency, then stir in finely chopped tomatoes. Mix again and add more salt as needed. Let us know how you like it and or send us a photo and recipe for your favorite guacamole dish!Subscribe to our blog or follow us on Facebook and Twitter! Jun 22 Baby Shower Cocktails!